Rail industry documentation and databases contain a treasure trove of information, in the form of drawings, specification lists, manuals, article specifications and all other documentation. This represents a big opportunity to a wide range of people working with this data, but also a huge challenge to use it creatively and efficiently. Ricardo's Configuration Management adds structure, simplifies accessibility and guides users in their work process. Our goals are: easy and intuitive access, optimal efficiency and considerable cost savings. The basis of an effective configuration management system is a product structure aimed at improving the accessibility of documentation. This is a hierarchical structure consisting of parts with code numbers in which the link(s) between the parts and the documentation (resources) is recorded. Each component part is, in this way, linked to the parts from which it is assembled and with all its related documentation. We make a comprehensive inventory of all existing data. We clean up the data, and add links to missing documentation or articles. Where appropriate, we create an optimal link to supplier's product structures. We optimise the accessibility by coding all articles and linking to (new and existing) documentation, ensuring that everything is interlinked. We work closely with your staff, ensuring that they are fully engaged throughout the process and provide valuable input and guidance during all phases of the project. Our Change Management service will guide your internal data management process and advise you on how your data can achieve “best-fit” within the wider railway industry. Throughout the process, Ricardo's special tools and templates, combined with our long experience in the rail industry allow us to take the whole process off your hands and to return it in optimum working order. All relevant information is mapped out within one system. All staff members have access to only one system. Special code numbers make parts, articles and documentation accessible to everyone. Our in-house tools support rapid and efficient system set-up. Typically, significant time and costs savings will commence within six months. 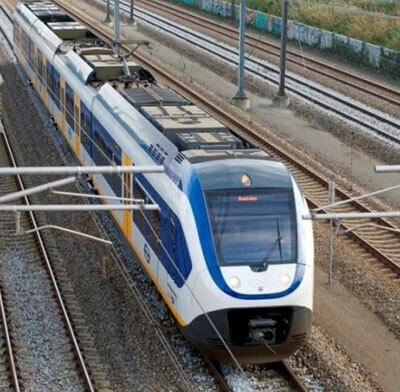 Creation and maintaining of www.Treinplein.net for Dutch Railways (NS); an on-line database in which available information about NS train types has been stored. Project Data Cleansing for NedTrain, whereby a special team both cleaned up and restructured their entire database. IN2CM: Migration of two PLM databases to one including cleaning and restructuring data. Building product structures, re-specifying articles, cleaning up the article database, building links to missing documentation and processing structural changes in the product structures. Aligning the supplier’s product structures with the customer’s product structures, coding articles, linking new documentation, classifying articles. Linking supplier's drawings and coding articles (including Line Replaceable Unit (LRU) articles in the “Work Breakdown Structure” (- system structure), re-specifying and classifying articles as required. Converting supplier’s product structures to customer’s product structures and providing links to drawings. What does Ricardo's Configuration Management include? Creating easy-to-use access to the right data, at the right time, for the right person, simply and clearly presented: In our view, this is the essence, of successful Configuration Management.